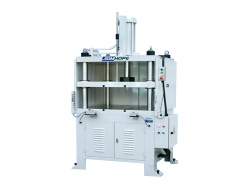 SIMHOPE develop and manufacture Extractor Machine by our own in Taiwan. 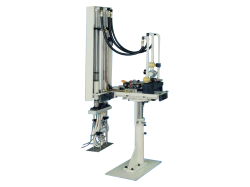 Side hanged version: It is installed directly on the side of the die casting machine. Grounded version: It stands on the ground, and link with the die casting machine. Motor driving, smooth action and low failure rate. Robot grips products tightly, and holds steady without falling. Several alarm functions, repair and troubleshooting are easy. 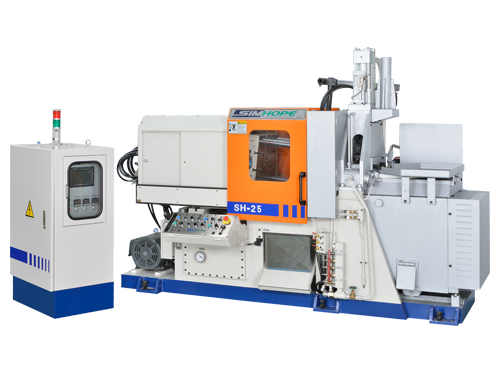 Combining with the die casting machine, the operator can operate the Extractor Machine directly by the interface of the die casting machine. 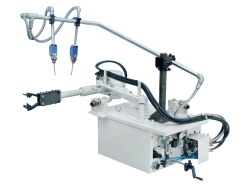 SIMHOPE develop and manufacture Sprayer by our own in Taiwan. According to the different functions divide into the hot chamber die casting machine for Zinc, and the cold chamber die casting machine for Aluminum. 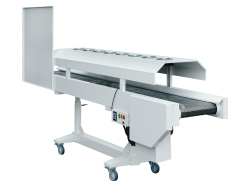 Mechanism is designed to be simple, low failure rate and easy maintenance. Special atomizer design, well efficiency of atomization, no leak and drip. With the braking function, stable spray. 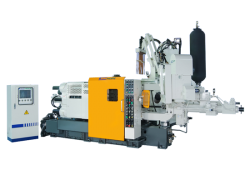 Combining with the die casting machine, the operator can operate the sprayer directly by the interface of the die casting machine.